Had a bit of a Pulp Fiction moment for date night last weekend. 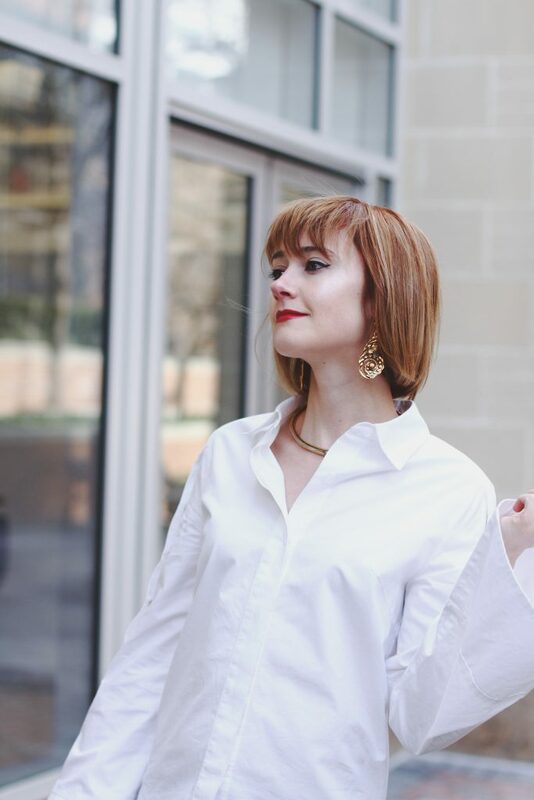 Immediately post-haircut, I was feeling major Mrs. Mia Wallace vibes and decided to roll with it – white button-down, cropped flares, and all. One of these days, I would love to dye my hair really dark but I’m not sure I can pull it off – what do you think? But back to date night… B and I were lucky enough to be treated to a relaxing evening by the fire at the Ritz Carlton’s Living Room in Georgetown. The cocktails paid homage to colonial times (like “The Smoking George” and “Cherry Bounce”), which couldn’t be more appropriate for DC – but they’re not just a gimmick; they really are good! The food was delicious, too, and perfect for a enjoying fireside on a raining night. We loved the fondu, which included roasted peppers and house-made sausage, and the porchetta sliders. Oh and it certainly didn’t hurt that the DJ was super chic in a gorgeous vintage blouse. Highly recommend this cozy spot for a casual, romantic evening! This is SUCH a Pulp Fiction moment! Definitely channeling Uma. I love the shoes with those pants. Aw, thank you so much Greta! You’re to kind! I think you’d rock dark hair and the pants are superb. Thanks Lorena! I might have to try it! I absolutely *LOVE* this outfit head to toe. 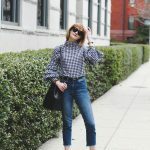 The sleeves of the top, pant cuffs, and gorgeous pumps — yes!! Work it girl. 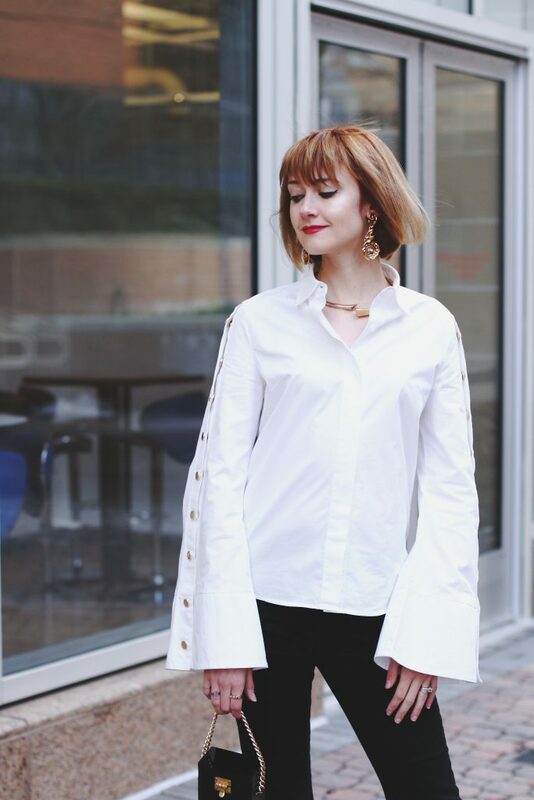 In love with this elegant look with the fringe blouse! Love your hair, and this outfit. Sounds like the perfect date night experience! Aw thanks Nataliya! Your hair color is honestly my ideal! Love the Pulp Fiction vibe! Thanks so much Laura! Maybe I’ll give it a try! Love your Mia Wallace moment, though simple it looks very cool and chic!